Chemical grouting has been widely used to ensure the stability and durability of built structures by enhancing the engineering properties of soils. 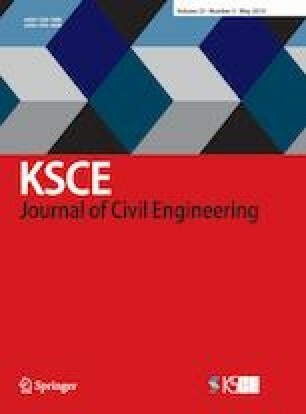 The objective of this study was to investigate the effect of a newly developed acrylate-cement grout, composed of component A (acrylic polymer, catalyst, and hardener) and component B (cement) having mixing ratios varying from 0.5% to 2% of the total weight, on the unconfined compressive strength of silty sand. Three series of laboratory tests (gel time, expansion ratio, and unconfined compression strength) were carried out on reconstituted soil samples with a void replacement ratio of 80% and 100% by acrylate-cement grout. The results showed that the optimum cement ratio of the chemical grout was 1.5% based on the unconfined compressive strength and the elastic modulus for the silty sand with grouting.